Workplace video surveillance can be a critical aspect of running a business. Surveillance can be an effective deterrent and counter-measure for break-ins and burglary. Video cameras also help with monitoring employee productivity and preventing theft amongst workers. Depending on your business, we can scale your surveillance needs from a small business to a conglomerate sized company. Network Video Recorder (NVR) Surveillance NVR video cameras are excellent surveillance option available for businesses. The IP camera records to a network video recorder connected to the camera. Business owners and managers can monitor the video footage from a remote location and the NVR can be connected to a television or computer for viewing, editing and downloading. Standalone NVR-based video cameras are ideal for those who want a simple setup or have a small budget. The NVR based camera system connected to the internet are advantageous for those wanting remote viewing capabilities, Video footage is recorded to the NVR for future viewing. It is also available in real-time via remote access to the NVR through your local or online office network. Our PTZ (Pan Tilt Zoom) camera also allow the remote viewer to manipulate the camera itself to obtain new camera angles or to zoom in. Most surveillance options are hard-wired to the NVR or DVR. 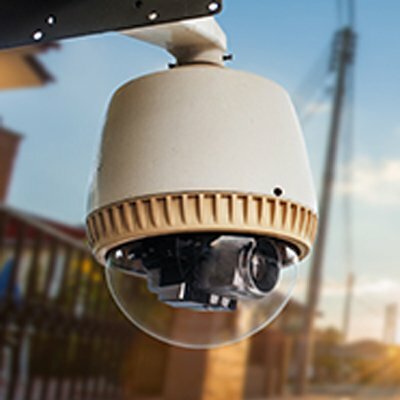 4Sight Security provides businesses that need greater flexibility in terms of setup locations to choose a wireless link using high security point to point network connection, which streams the video footage over a wireless network to the NVR. 4Sight Security offers businesses several camera types. Outdoor cameras are designed to withstand varying levels of weather thanks to water-resistant or waterproof casing. Night Vision surveillance cameras have infrared or low-light capabilities. For employee and customer surveillance, some businesses may choose specialty cameras with audio recording capabilities. Miniature hidden cameras are also available for businesses that need discrete recording. 4Sight Security is proud to bring East Idaho surveillance cameras to Idaho Falls, Rexburg, Pocatello and the surrounding areas. 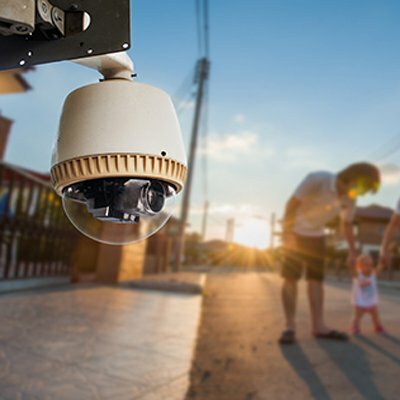 If you are currently running a business in East Idaho, odds are you have considered getting video cameras to keep your company safe. If you haven’t installed surveillance cameras yet, keep reading to learn how they can improve your company. Decreases Theft – Sometimes the mere presence of an obvious surveillance camera can deter potential thieves. Surveillance cameras reduce the risk of loss and can keep your business safe and secure. Increases Employee Productivity – we’ve all heard “when the cat’s away, the mice will play” surveillance cameras play off the same idea. Not only will this ensure your employees are getting their work done, but it can also create better communication between departments for larger companies. Helps To Resolve Conflicts – Conflicts at the office can happen for a number of reasons. East Idaho video surveillance cameras make it easier for management to see what “really happened” to resolve any potential conflicts. Monitors In Real Time – With new video surveillance technology, you don’t need to go through hours of past footage. Instead you can watch things as they happen in the moment. With our mobile security packages, you can even watch all the happenings of your business from the comfort of your home. Improves The Safety Of The Overall Work Environment – a surveillance camera put in place in your East Idaho business can monitor employees and help to avoid potential dangerous occurrences or accidents that may happen when an employee is at the office alone. Provides Helpful Evidence – Criminal activity is sometimes unavoidable. Having video surveillance cameras set up at your business can help give investigators valuable evidence that can help to solve the crime. Provides Access Control – Using state of the art Brivo technology, 4Sight Security is able to give administrators access control to their business. This allows you to see who is accessing your business and gives you the ability to deny access to suspicious persons. Saves You Money – Who doesn’t want to save money? By making a small investment, you are reducing chances of theft and possible break ins. Also with the increased productivity from your employees, you will be able to earn money more efficiently. As we’ve seen above, video surveillance is a critical investment for your business. Whether you are a small business operating out of just one location in Jackson, WY or if you have offices worldwide. Our cutting edge technology in video surveillance cameras are just what you need. Network Video Recorders or NVR are a great solutions for video surveillance in Jackson, WY. NVR systems allow the user to view information from remote locations, this is perfect for Jackson business owners who don’t call Jackson their permanent home. This is also a wonderful option for business owners that may be on a tighter budget. Stand alone NVR video surveillance cameras are simple to install and use. How Do NVR Systems Work? The IP camera for NVR systems records to a network recorder that is connected to the video surveillance camera. Not only is video footage recorded so that you can go back and view previous footage, but you also are able to use your Jackson video surveillance system in real time from a remote location or the comfort of your home. Outdoor Cameras – All of our outdoor cameras are meant to withstand the elements by using water resistant and waterproof casing technology. Night Vision Cameras – These cameras use infrared and low-lighting capabilities to keep your business safe during all hours of the night. Indoor Cameras – Some business may choose to keep hidden cameras for discreet viewing as well as cameras with audio recording capabilities to pick up any indoor sounds or conversations. 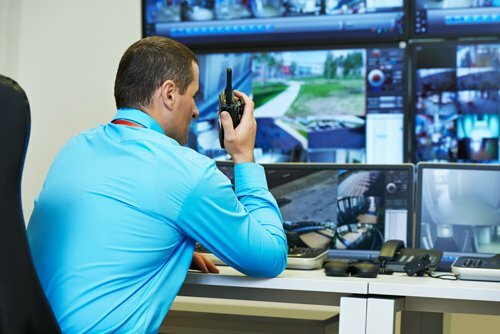 Whatever your video surveillance needs are, 4Sight Security can equip your East Idaho or Jackson, WY business with the perfect video surveillance system to keep your business and your employees safe. Start protecting your business today. For your East Idaho business, 4Sight Security wants to make sure that you have the most cutting edge technology when it comes to keeping your business safe. Whether you only need one indoor camera or are looking for something more high tech, we have exactly what you are looking for. Call us today, to get an estimate for East Idaho video surveillance cameras for your business.